This Saturday (7th November) I headed to Manchester for MageTitans 2. For anyone not in the know, MageTitans was an extremely successful Maegnto conference organised by Manchester Digital last year. Whilst I had my ticket for last year’s event, sadly I couldn’t attend on the day, but thankfully, given community feedback, another event was orgainised for this year – all at a very reasonable price too! 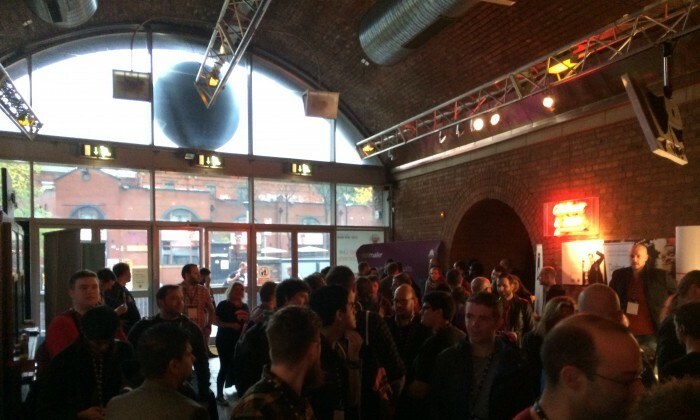 MageTitans is an event for Magento Developers, curated by Magento developers. The great thing about this event is it’s inclusion of developers at all levels. Whether you’re beginning out with Magento, or you’re an experienced Magento developer, I feel that the conference had something for every level. Not only that, but a lot of this years’ talks crossed the boundary of Magento into purely “development”, making better progammers out of all of us. I don’t want to go too in-depth breaking down each talk – as I’m sure others will, but I did want to highlight some of the key concepts and talking points from the conference presentations. Composer – How composer is enabling us to write more modular components for development, not just with Magento, and how it’s inclusion at the heart of Magento 2 offers a lot of future expansion. Magento 2 service contracts – how they offer an interface into, and out of Magento without having to tie directly in to (or be restricted by) features deep within Magento. This allows us to write code that can run on any number of platforms, abstracting the features of our code away from reliance on any platform. How encapsulation and extraction can simplify code, and our understanding of how code functions and where we should be referencing it. The importance of scalar types as an interface into our code from outside sources – whether that is through an API or factory methods. Enterprise level frontend (not neccessarily using EE) needs to be as custom as possible – starting from scratch is often a better solution than building on top of Magento base themes. Always have scale at the back of your mind when you’re building solutions. There is a huge amount of innovation within the Magento community. Performance is a CORE requirement for Magento 2, meaning FPC is in CE as well as EE (through Varnish). However, scalibity is kept back as an EE feature. Speed improvements using tools like HHVM and Varnish never solve the base issues, they just cover them up. The core code should not only be modified, it should be read, understood and adapted to suit requirements. If you want to read up more about the presentations that were given, the synopsis can be found on the MageTitans website.